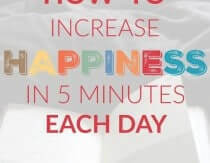 Heather Dessinger 66 Comments This post contains affiliate links. Valerian root has long been used to support relaxation and sleep, but don’t think of it as just a nighttime herb! Many people use it during the day to support emotional well-being, ease discomfort, manage stress and more. Although the sweet smelling flowers have sometimes been used for perfume making, it’s the roots and rhizome (underground stalk) that are used therapeutically. They’re not used for perfume, though, because they smell a bit like sweaty socks. As you can imagine, that’s not really a plus in anyone’s book, so the popularity of valerian despite this downside speaks to how potent it is. Valerian root contains several powerful bioactive compounds that have relaxing, sleep promoting, anti-inflammatory, heart health and other benefits. Magnesium is also helpful for activating GABA receptors, which increases our ability to utilize this relaxing neurotransmitter. 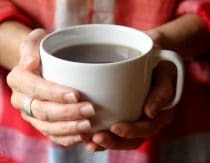 Increasing GABA – A stressful lifestyle, poor sleep, and other challenging experiences can cause us to burn through our GABA stores quickly. Ideally we’d get a break to replenish levels of this calming neurotransmitter before we encounter the next life challenge, but that doesn’t always happen. By increasing GABA signaling via the mechanisms discussed above, valerian helps the body optimize GABA levels during stressful times. Click here for more ways to reboot your stress response. Is it safe to take valerian? 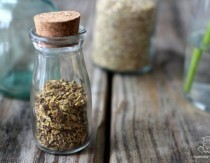 “Herbs that can be safely consumed when used appropriately. That said, “caution is advised during use of barbiturates, bensodiazepines, and other sedative drugs,” because valerian may increase their effects. In addition, for a small percentage of the population, valerian root has a stimulating effect rather than a calming one. Herbalists generally do not recommend valerian root in those cases. Should I use a tincture, tea or capsules? There isn’t a “right” answer to this question. Alcohol-based extractions (tinctures) draw out a different a different phytonutrient profile than water-based extractions (teas), so it may take some experimentation to see what works best for you. Especially when it comes to roots and berries, many of the beneficial compounds are better extracted by alcohol (or glycerin) than water. 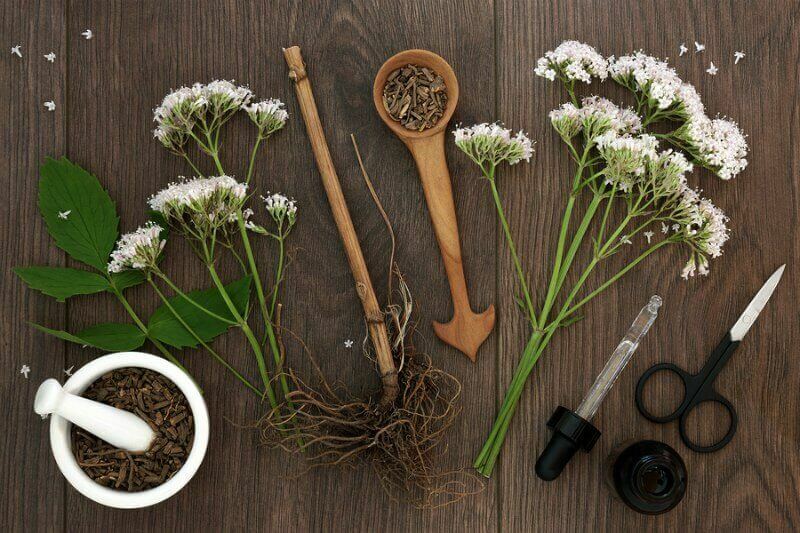 That’s probably why most of the valerian root preparations in the studies above are alcohol-based extracts, which are commonly known as tinctures. Teas can be made more quickly, but as mentioned above certain beneficial compounds are not easily extracted with water. You can increase the extraction rate by decocting them (making a long-simmered tea), but the finished product may not have as much of certain compounds as a tincture would. However, it will have higher levels of glutamine, which is a building block of GABA. Some valerian root capsules contain an extract of one or two “active constituents” rather than the whole root. 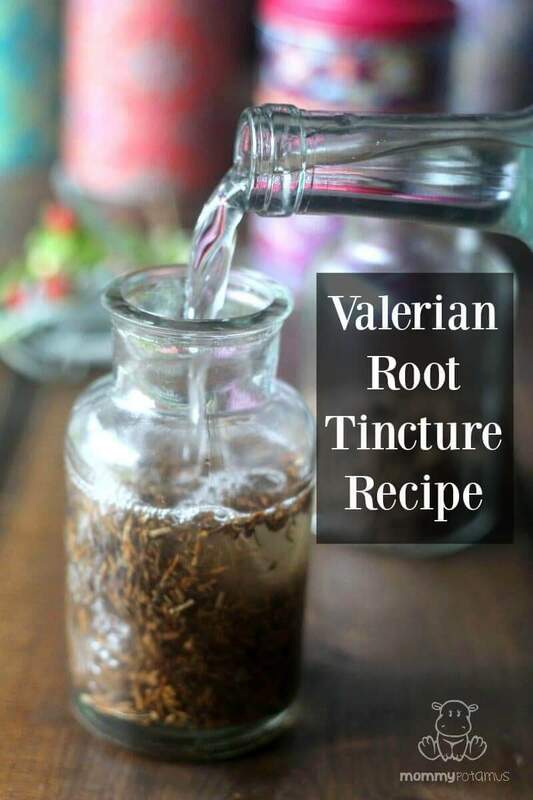 Since valerian root has several known active constituents (and probably more that we have not yet discovered), I prefer to tinctures and teas that extract a wider range of constituents from the plant. Some capsules do incorporate the whole root, but when herbs are taken as a capsule the body needs considerably more time to break down and assimilate the nutrients. If digestion is weak, sometimes not all the therapeutic properties will be absorbed. So what’s the best extraction approach with valerian root? As I mentioned above there are benefits to both tincture and tea forms, so I’ve included recipes for both. 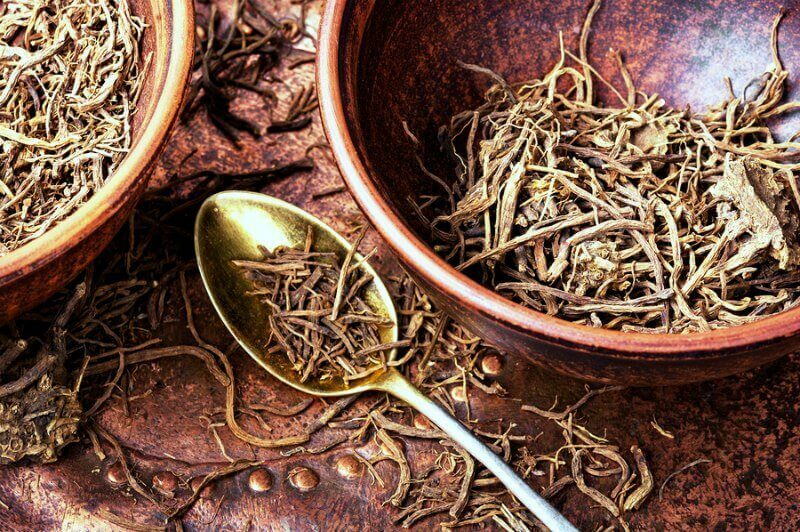 According to renowned herbalist Rosemary Gladstar, valerian root “is a nonaddictive, non-habit-forming sedative, and it will not make you sleepy or groggy unless really large amounts are consumed. So don’t be afraid to take adequate amounts of valerian. When taken as a tincture, she recommends starting with 1/4 teaspoon, taking an additional dose after 30 minutes if needed. One thing to keep in mind is that – at least in the book Rosemary Gladstar’s Herbal Recipes For Vibrant Health – Rosemary uses the folk method for making tinctures. 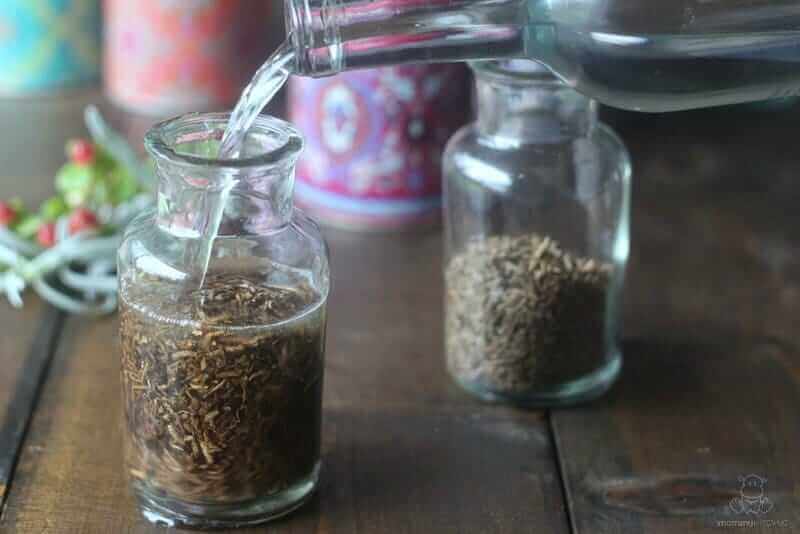 The folk method involves placing the herb in a clean jar and pouring in enough alcohol to completely cover the herb, whereas more precise methods involve weighing the herbs and measuring out the liquid by volume. Is valerian root safe during pregnancy and breastfeeding? When my kids find it difficult to wind down, I tend to opt for milder herbs like the ones in these sleep tinctures or sweet dreams tea. That said, one of the studies on focus mentioned above specifically looked at the benefits of valerian for school-age children, and valerian is generally considered safe for kids over 1 when used in age-appropriate amounts. I like Herbs for Kids Super Calm, which incorporates valerian root with milder herbs and is specifically intended for children. They include dosage information based on age/weight on the bottle. Fill your jar about halfway with valerian root. Pour vodka all the way to the top, then cover with a cap and shake well. If desired, write the start date on the jar using a sticky note, label, or piece of tape – it makes keeping track of how long it’s been steeping easier. Place the jar in a dark area that is relatively warm. (I keep mine in a kitchen cabinet.) Let the mixture steep for 3-5 more weeks. Shake occasionally. When it’s ready, strain the mixture through a cheesecloth, making sure to squeeze out as much liquid as possible. Pour the liquid in a clean container and store in a cool, dark area. Before you brew, one thing to know is that while very helpful for relaxation, valerian root is considered to have an unpleasant smell. I don’t mind it, but depending on your preferences this may not be your cup of tea. Bring water to a light simmer (not a boil) and add valerian root. Cover and simmer on low for 20-40 minutes, then allow to cool until it can be comfortably sipped. Strain and serve. This article was medically reviewed by Dr. Scott Soerries, MD, Family Physician and Medical Director of SteadyMD. As always, this is not personal medical advice and we recommend that you talk with your doctor. Great post, Heather! I am a lover of valerian tinctures too. In fact, the first time I ever used them was when I had pregnancy insomnia during my first pregnancy and my midwife suggested valerian. It worked perfectly every time I needed it. From there I went on to use it with my kids for sleeping, and again it works great for them as well. However, there are a couple cautions with valerian that I wanted to point out. I didn’t know these at first, but I learned them after more study. First, valerian is considered a sedative herb, but in some people (very few – less than 10%) it has the OPPOSITE reaction and will stimulate instead of sedate. It’s best to try a half dose of the herb before taking a full dose to see if you feel any stimulating effects from it. If not, it should be fine to take a full dose. Next, valerian is cautioned among people taking sedative medications because it can add to those meds, sedating the person more. Again, I love valerian, and we don’t have any issues with it in our home. It’s a good one to always have on hand for sure. Thanks for the great post! Hey Meagan! Thanks for reminding me to include a sentence about the potential stimulating effects of valerian. I’d planned to do that in the section on Class 1 Safety herbs just after the warning about combining valerian with sedatives. Interestingly, according to the Botanical Safety Handbook the risk of interaction is theoretical. To date, at least according to the guide, no actual interactions have been reported. my son has a few issues with anger. he is ten and can often go from sweet to super angry within seconds. do you think this will help? How much of the valerian root tincture do you take?? Hi! I downloaded your free Kitchen Apothecary ebook. All pictures, no text at all. What happened? what about us people that cant take alchol-how do you mix it then? I usually buy my tinctures in reform shops. Here in Finland you pay a good amount for the strongest they have. I usually take 5 to 10 times more than recommended on the label. I take it only for sleeping. It gets a bit expensive that way but never had any issues or side effects. When I started I only needed little, but I just seen over the years my tolerance went up considerably. Do you happen to know similar cases? Uh… Pretty sure those 2 points were mentioned in the post. Did you even read it? No need to be rude, and yes, your comment was rude. I read the post and missed the dose as well. Salty posts like that discourage people from trying new things. Maybe you should double your dose. How long will the tincture last? Will it go bad? If it has vodka in it, how can children take it? Tinctures actually last years, I mean many years. They actually get better as long as you keep in air tight container and away from light and heat. If you make rather large jar, like the big pickle jar at the deli, it will never go bad as long as you do the above mentioned. I do suggest, if you make large jars of tinctures that you use daily, to take out with a ladle what you will need for a week or even a month and transfer into a smaller jar. This way you are not constantly opening your tincture exposing it to air. I get my information from Wise Women and Herbalist Susan Weeds writings. 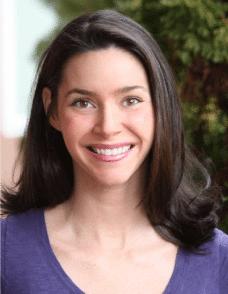 She is a great teacher and has lots of great info on websites and Facebook. Do you have any tips for disguising the taste? I made some and took it once and the taste was so awful and I can’t bring myself to take it again. I have been using Valerian tea bags fromTraditional Medicinals for the past several years. Valerian worked so well fro my insomnia I actually got used to the taste, or rather didn’t mind it, because I knew I would get a good restful sleep with no morning grogginess. But I also love the taste of black licorice and started brewing a bag of licorice tea with my valerian. Licorice tea smooths out the harshness of the valerian and adds a pleasant light sweetness without sugar. Just came across some whole root at the Mexican market that I’m going to try and I steep a bag of the licorice with it. I am an alcoholic. What are your suggestions as I cannot use the tincture? I have PTSD and regular sleep is very hard to get. I have been using capsules but do not have the right dosage. Many tinctures can be made with apple cider vinegar. I would go to your local herb store or even wholefoods, and buy the extract or capsules. Also, hops flower either on its own or used with valarian root works to not only fall asleep fast, but it relaxes the body into a deep restful sleep. Another thing you can do is take a sachet or even a sock and fill with dried hops flower, chamomile and lavender. You can put this by your pillow or in the case, and it will send you off to dreamland (works on most not all). The sachet may also calm your PTSD symptoms by inhaling a few deep breaths, but not too many or it may make you sleepy. Also, you can try making the tincture the same way using olive oil, but I’m not sure if the results will be as effective. It’s worth a try. Vegetable glycerine is also used to make non-alcohol tinctures. Tinctures made of vegetable glycerine have a shorter storage life, but a good alternative. Be sure to use very clean utensils because it’s easy to contaminate do to not having alcohol as a preservative. M. Castleman, (2003). The New Healing Herbs. Hinkler Books, Dingley, Victoria. pg 53. Is it difficult to wake up in the morning after taking the night before? Thanks for the great recipe. I’ve used valerian as a supplement for years with mixed results. Seems to work best when combined with melatonin, for me. I bought the essential oil & discovered it works well & fast when applied to soles of feet. Can’t wait to try the tincture! What essential oil did you buy and use? A tincture is a herbal medicine made of plant parts and alcohol. The alcohol draws out the plant properties that water can not. You can use fresh or dried leaves, flowers and/or roots. I personally prefer fresh if I can. The alcohol can be any kind but vodka is used primarily. 100 proof is best because 80 doesn’t draw out the properties enough and over 100 will cause some of the plant property to deteriorate. 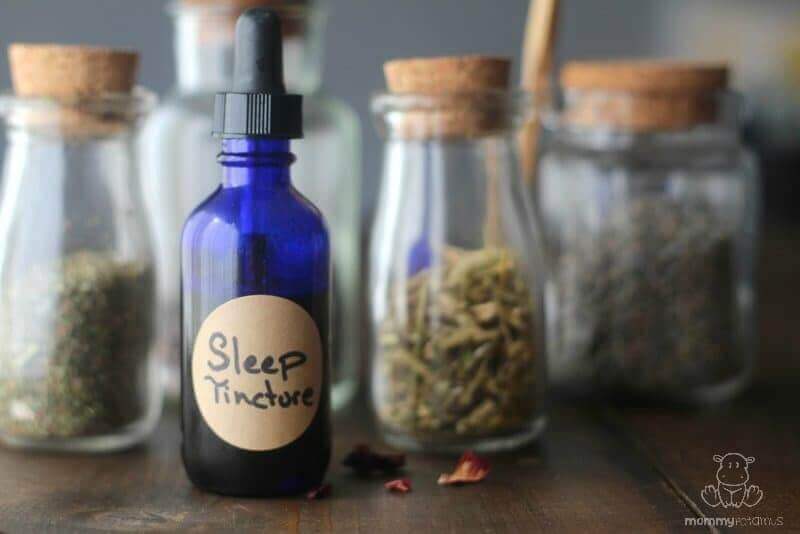 How much of the tincture does one take at night to fall asleep? This link has some great information explaining tinctures. I’m just learning about oils and natural remedies and was wondering how much to use. Thanks. I’m pregnant and looking for a way to handle my high anxiety, how can I make this with something other than vodka??? 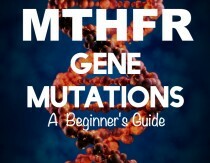 My daughter has been experiencing chronic daily headaches, and we’ve not found the cause. This sounds like something I need to make, and (next spring!) to grow. Thanks for the informative post! After determining the cause of the headaches, you might want to look into a feverfew tincture. My two daughters both got debilitating migraines. Feverfew tincture was the only thing that helped when taken at the first sign of onset. Hello Heather, nice and useful tip, but please let me know where can I get this root? I keep VR tincture on hand also, but I cannot stand the bitter taste so I added a little mint to the tincture mix – nothing to lose. I like the chocolate mint best after all the trials and it doesn’t take but a few dried leaves to hide the bitterness and leave a light mint taste and smell. It doesn’t seem to alter the VR effectiveness and I like it much better. When I’m making tinctures, I put them on top of my hot water heater for warmth and cover with an orphan sock to ensure darkness. Masking tape on the sock lets me date each one. What a great idea for warmth and darkness!! 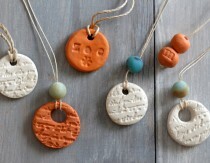 And the mint idea seems great as well! I will be making my very first batch is weekend!! What is an orphan sock? The one left behind after the dryer monster eats it’s mate. Use it to put the jar inside. I have a mild mood disorder and when I tried Valerian for sleep it did have the opposite effect. I think it is possible that the 10% of people who have this stimulated effect may be on the bi polar spectrum as I am. I recommend Bachs Rescue Remedy in place of Valerian if you have a mood disorder. I can’t take anti depressants either because they make my symptoms worse so always looking for natural remedies. Any suggestions welcome. Hi Kim! This might be a couple years too late, but I wanted to offer my own suggestion. I don’t have any diagnosed mood disorders and I don’t take any prescriptions, but I have tried Valerian also and got the opposite effect I wanted. It relaxes my husband and puts him to sleep quickly, but for me it only gives me anxiety and severe insomnia. I am not typically anxious, so it was a notable effect. I cannot take it at all, not even in small amounts or in tea. I have personally found St. John’s Wort to be effective for me. I have slept quite well since I started taking it and it doesn’t seem to give me any negative side effects. It says on one of the bottles that it’s good “for promoting a positive mood” so perhaps it’s something worth looking into. I was informed buy my herbals that valerian can be addictive over long periods of time….I suppose I’ll know in a few years time (I’m a Herbalist-and-Naturopath in training. 🙂 ). But some herbals say caution and some say it only occurs with certain individuals….anyone know anything definate? I’m not an expert on this subject so I cannot give a definitive answer. However, the herbalists I know say it is non-habit forming, and The Botanical Safety Handbook makes no mention otherwise. Hi, is this better (as in much stronger, and much more effective) than using something like a store bought Valerian root supplement in capsule form? I’ve tried said forms of Valerian before and didn’t get much good from them to be honest…. Can you add the valerian tincture mixture to a food or drink if you don’t want to take it straight? Will this make it less effective? 8. put some in vegi caps, or dilute it in water to make an instant tea, or if you’re really hard-core, take it strait. As a now retired formulator of supplements and researcher (I have patented natural medicinal formulas), I have to mention this. Most clinical studies NIH being one of the best validated studies, finds the most important and active compound in Valerian root is the sesquiterpenoid valerenic acid, standardized to approximately .8%. I mention this because when you are making home brews and tinctures there is no way to accurately measure the amount of acid (if any) in the resulting product. You can have a million mg of valerian root and no active compounds of any sort, OR you could produce 100mg of valerian root with an excess of various medicinal active compounds. Just putting that out there. Personally, I love Valerian Root but rely only on standardized compounds with marked % of active ingredients. Although I agree that there can be a time when standardized extracts are optimal, I generally prefer whole plant extracts because they often contain compounds that work synergistically together. For example, valepotriates, linerin and lignan 4 have all been found by subsequent research to have therapeutic benefits in addition to valerenic acid. I’m 54 years of age and I’m breaking out with acne on my face. I get these big red bumps and the hurt. Any suggestions? I have a couple questions. I have 2lbs of VR(accidentally ordered too much! )that I’ve had for a few years. It’s dried. Is it likely still good? Also I would like to try VR in tincture and tea as it seems like it could be helpful for a few reasons. I’d like to know, though, which method/dosage is recommended to use as a sleep aid? I’m a night Doula and have a little trouble sleeping more than 5hrs each day. I know this is an old post but I have a question. I’ve suffered terrible insomnia for the past 30 years. The only things I found helpful were herbal tinctures: valerian, passionflower, hops and lemonbalm. It was breaking the bank and I’d like to stay away from alcohol because I’ve been overusing it to get to bed at night. Recently I purchased super-high concentrated extracts of the above in powder form. For some reason they aren’t working on me. I was wondering if you think adding lecithin to my nightly routine would make these extracts more bioavailable? Hi Mark, I’ve not used lecithin in that way so I can’t speak to its efficacy. Sorry I can’t be more helpful.